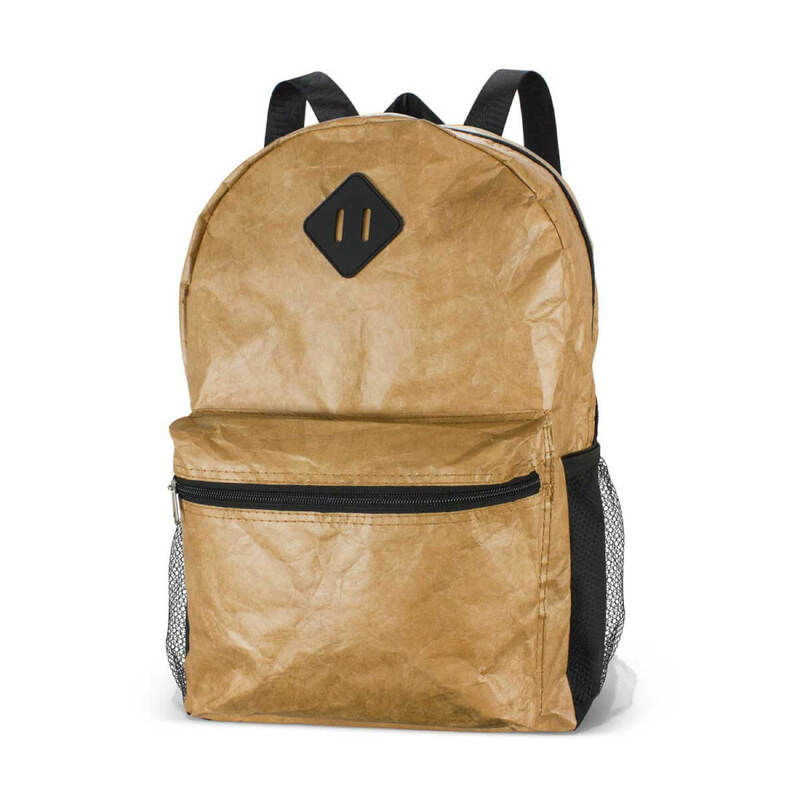 Stand out with these backpacks made from Tyvek material! Have you experienced the trendy material "Tyvek" these backpacks are made from yet? The material is fashion inspired, lightweight and extremely durable. It's resistant to tearing, abrasions, is colourfast and also waterproof and recyclable! If you want a backpack that stands out, this is it! The Tyvek backpack has a comfortable padded back with strong woven shoulder straps and an internal compartment for a laptop. Other features include a large zippered external pocket, zippered main compartment, twin mesh side pockets and a woven carry handle.